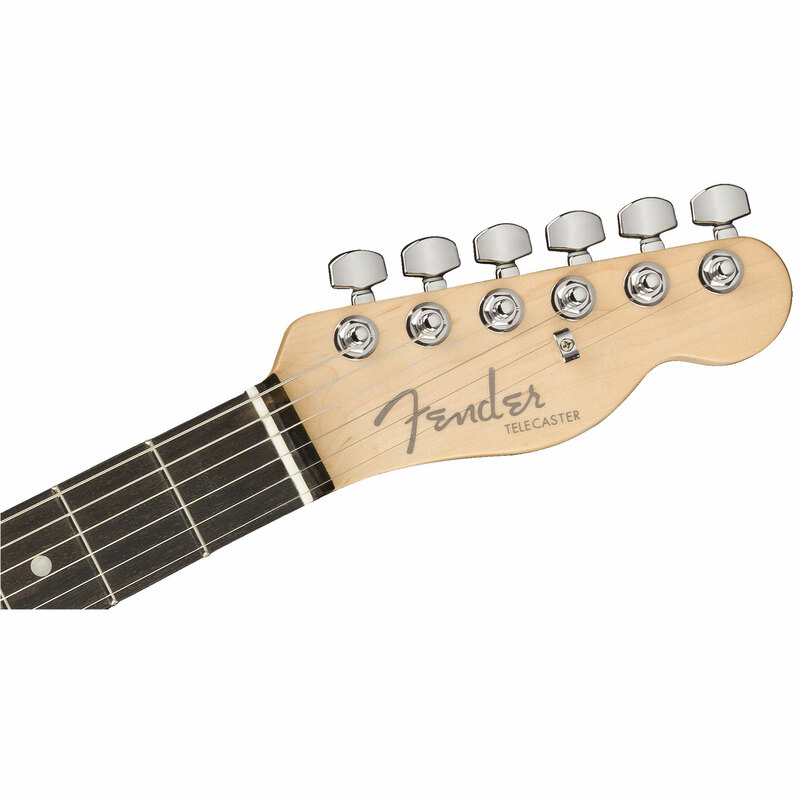 Compound neck profile, modern "C" to "D"
The Fender Telecaster is the grandfather of Solid body series guitars. 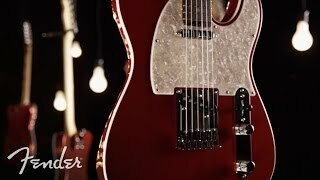 In the course of the Fender company history, it was subjected to ever smaller changes, but the basic character was always maintained: the Telecaster is the work horse under the Fender guitars. The current American Elite Tele MN MYBLK is the consequent further development of the model with many modern features. 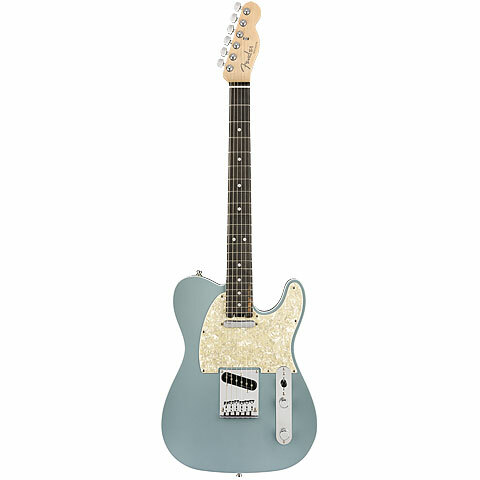 The electrical equipment is based on the tried and tested Noiseless pickups of the now 4th generation, uncluttered pickups with classic single coil twang and versatile S-1 circuit. 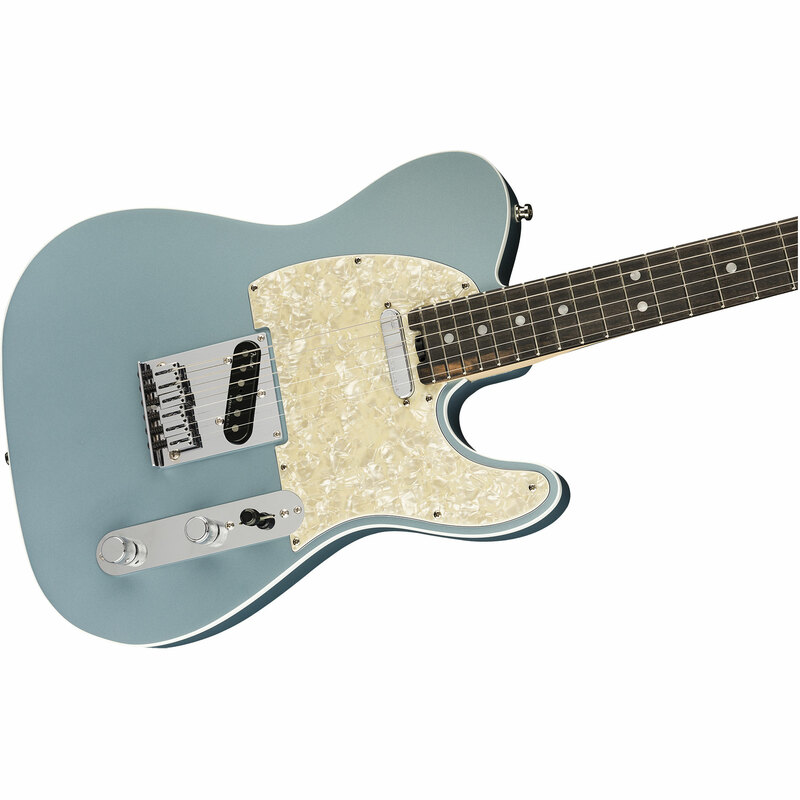 The neck of the Elite Tele has a compound neck profile of C-D profile with a compound Fret board from 9.5" to 14", which allows comfortable, fatigue-free handling, playing in high positions is no problem. A classic in "State of the Art" design!